Fantastic French dining table in mahogony and steel frame on brass glides, it has ends that can drop down or be removed completely. 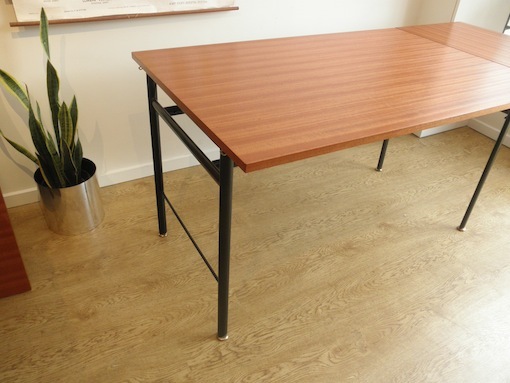 It can also double as a desk that converts to a very long dining table. 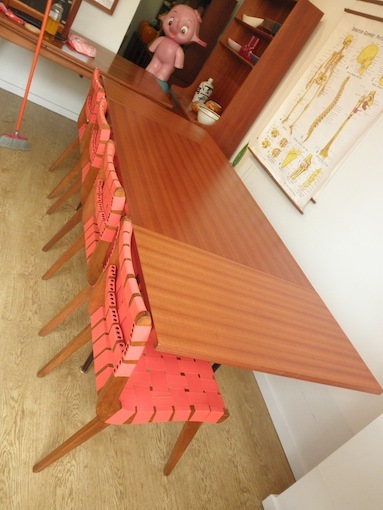 An ingenious mid century piece that has a range of uses. This would look great with Featherstone Scape chairs, industrial or even some Eames shell chairs. Circa 1960.